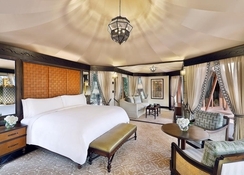 Located within a nature reserve, the Ritz-Carlton Ras Al Khaimah Al Wadi Desert is a beautiful 5-star resort. 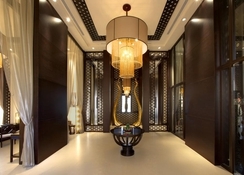 Offering intimate pool villas, excellent restaurants and luxury facilities – the hotel is one of the best in Dubai. Get yourself pampered at the spa that blends European and Asian wellbeing philosophies with hydrothermal amenities and private treatment porches. Explore the four restaurants which serve international cuisines as well as authentic local delicacies. Other facilities for adults, kids and families include biking, nature drives, bird-watching, Archery and many other outdoor sports facilities. 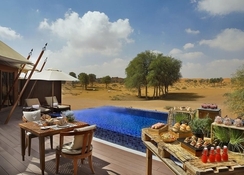 The Ritz-Carlton Ras Al Khaimah Al Wadi Desert is conveniently situated in the Wadi Khadija province. Guests who want to see a lovely beach can head to the Ras Al Khaimah Beach, which is only 18.7km from the property. Guests willing to practice golf can tee off at the Al Hamra Golf Club, which is about 18.2km. To satisfy your luxury shopping needs head over to the Al Hamra Mall, which is about 17.9km. The Sharjah International Airport is about 57.7km from the resort. Marvellous, airy, luxurious and fully-equipped are some of the superlatives that describe the rooms in this magnificent resort. 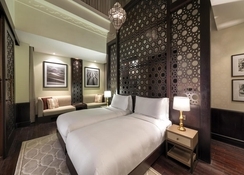 It offers accommodations in the form of villas that are categorized as Al Rimal Pool Villa, Al Rimal Enclosed Pool Villa, Al Khaimah Tented Pool Villa and Al Sahari Tented Pool Villa. These rooms have the maximum capacity to accommodate up to three adults or two adults and two children. They comprise the following amenities: separate soaking tub, bathrobes, king and twin bed, private pool, furnished terrace, flat screen TV, Bathtub and separate shower, oversized soaking tub, complementary Wi-Fi, coffee/tea maker, mini bar and safe. There is a wealth of dining and drinking options in the hotel to satisfy the taste buds of different guests from across the world. 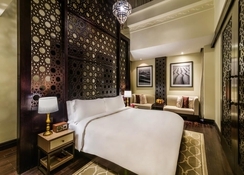 The bars and restaurants in the hotel include Farm House, Kaheela Restaurant, Moorish, Moon Bar, Lobby Lounge, Al Wadi Tower, Kan Zaman and Dining Experiences. Or take advantage of the in-room service to make yourself comfortable while having food and drinks. 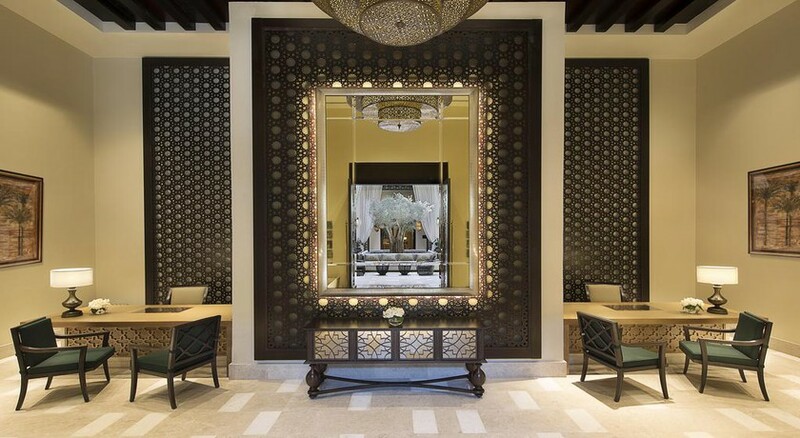 We would like to inform exciting news from The Ritz Carlton Ras al Khaimah about 2 NEW FACILITIES now open at the resort! We are delighted to announce the opening of the new Oasis Pool & Bar.